Sectional density affects every area of a bullet’s performance, but too few people know about it. Granted, you can be a great shot, proficient hunter, or effective soldier without knowing. But since it’s so important, I think it’s better to know. 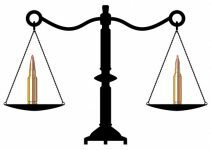 Sectional Density simply tells you how concentrated a bullet’s weight is compared to it’s diameter. Sectional Density is how “long and thin” versus “short and fat” a bullet is. It should make perfect sense that the top bullet is more aerodynamic that the bottom bullet. That’s just common sense, but it’s true because of sectional density. 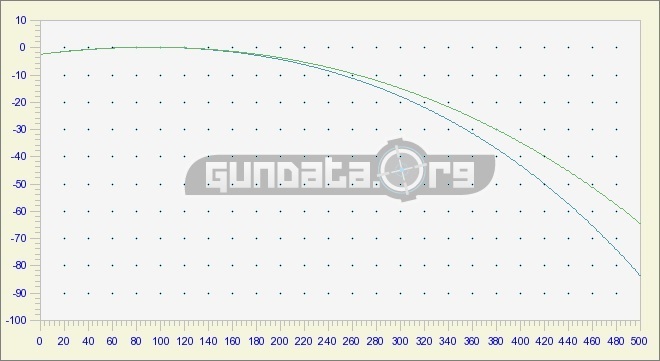 To calculate a bullet’s Sectional Density, you can either go online and use this nifty Sectional Density Calculator, or you can find the area of the bullet’s cross section, then divide it by the bullet’s weight in grains. Yeah, I’d rather use the calculator too. Here are some values for common bullet diameter and weights so you can get a feel for Sectional Density. Note that heavier bullets have a higher Sectional Density. Something most people don’t know: Sectional Density is one of ONLY two factors that determine how aerodynamic a bullet is. The other one is the shape of the bullet. In most modern spitzer bullets, the bullet’s shape usually accounts for less than 10% of the aerodynamics. That means Over 90% of the bullet’s aerodynamics is determined by its Sectional Density. They are both Hornady SST bullets. The Top one is a 123 grain 6.5mm bullet with a good sectional density of .252. The Bottom one is a 125 grain .308 diameter bullet with an awful Sectional Density of .188. And you get all these advantages without increasing recoil! Are you starting to see how important Sectional density is? And that’s only HALF the story! For Hunting, High sectional Densities mean the bullet is more likely to pass completely through the animal, or at least reach the vital zone. High sectional density bullets penetrate more reliably, especially through thick hide and bones. Did you ever hear the advice to use heavier bullets for heavier/bigger game? You need those longer and heavier – almost needle like – bullets to get through hair, hide and bone to reach the vital area. For tactical shooters: Sectional density means greater ability to shoot through cover and greater likelihood of penetrating body armor. 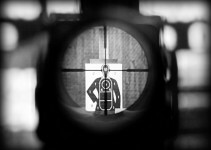 There’s a HUGE misconception in the shooting world that increasing a Bullet’s Diameter makes it more lethal. 6.5mm Bullets have been used for over a century to kill Elk, Moose, and other large game using 140 grain bullets (Sectional density: .287) or 160 grain bullets (Sectional density: .328). For comparison, a .308 bullet would need a 218 grain bullet to match the 160gr 6.5mm bullet’s sectional density, or 190 grains to match the 140gr bullet. And there’s no difference in effectiveness IF you have good shot placement. African Game might need a very heavy bullet of a slightly larger caliber to punch through the huge animals on the African plains. But 7mm is all you need in North America, an 6.5mm will do almost every thing a 7mm will do with less recoil. Low Sectional Densities are why I dislike bullets of .30 caliber and larger. They require bullets that are much heavier to reach the sectional densities of even modest 6mm, 6.5mm or 7mm bullets. Larger / wider bullets just can’t compete in sectional density without getting heavy. Heavy bullets need higher recoil to match speed or slower bullets to match recoil. 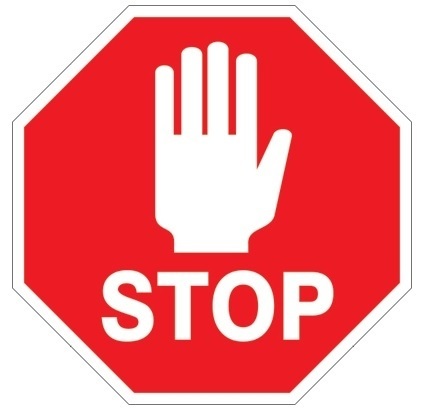 Either way, you’re giving something up to narrower, higher sectional density bullets…. Which are just as lethal with good shot placement. At close range it’s not very important. But as the ranges get longer, higher sectional density bullets buck the wind better and retain speed better. Bucking the wind better means more accuracy. And accuracy (plus good bullet selection) is every thing. Abe has been shooting for over 20 years and spent a few years working as a Manager and Gunsmith at a local gun store. He has a passion for Shooting, teaching, gun design and investing. He retired before he turned 30 and wrote a book titled “The Beginner’s Guide to Investing: Wealth Building 101 & Stock Market Strategy”. From shooting a 22-250 my whole life to wanting something that’s a little faster and able to hit a target at 400+ yards at varmint’s and half way cheap to reload between the 6.5 Grendel or 6.5 creedmoor all information would be greatly appreciated. Your question isn’t entirely clear. Please head to the “contact me” page and shoot me an email so we can talk about it more. Abe, great article on SD. I was reading up on SD as I am about to start hunting in 2018 and own a Tikka T3X in 6.5×55. I plan on hunting deer and moose, this cements the decision I made to buy a 6.5×55 and not a 30-06. Not saying the 30-06 won’t do the job but simply saying that my 6.5×55 will do it with less recoil and better penetration on heavy game such as moose. Try moose and come back to us. Thank you for the great article. You explain SD in practical terms that are easy to comprehend. I will continue to use my .30s and .338s, but I am now compelled to do more with my safe queen .270, and pick up a 6.8spc barreled upper for one of my AR15s. Not thoroughly convinced since it’s two different calibers. A comparison of two like calibers with different style bullets would be more convincing. Abe's Gun Cave is a participant in the Amazon Services LLC Associates Program, an affiliate advertising program designed to provide a means for sites to earn advertising fees by advertising and linking to amazon.com. Abe's Gun Cave Copyright © 2019.